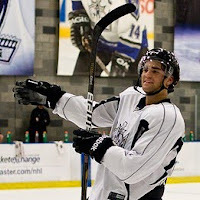 LA Kings prospect Andy Andreoff pushing for Manchester? 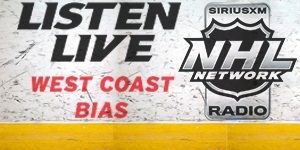 You are here: Home / AHL / LA Kings prospect Andy Andreoff pushing for Manchester? 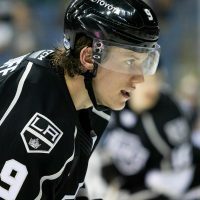 Kings GM Dean Lombardi had a bit of a reputation for loving guys from the WHL just a few years ago. Yet, the tide has turned. Most recently, he’s been stocking up on American-born players and more specifically, U.S. college players. Then there’s the OHL factor. 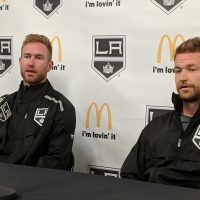 Three of the team’s prospects to not only make the club over the last few seasons, but have a significant impact, all come from the Ontario Hockey League – Drew Doughty, Wayne Simmonds and Kyle Clifford. And Tyler Toffoli is right behind them (more on that later though). Hoping to soon follow in their footsteps is Andy Andreoff, a 6-foot-1 center the Kings picked up in the third round of the NHL Draft this past June. While it’s unlikely he’ll make the main roster out of camp, Andreoff is in a bit of a unique position compared to most other junior players who will be attending Rookie Camp this weekend – he already has four years of OHL experience under his belt. He was first draft eligible two years ago, but went unnoticed by NHL teams. Digging into his stats, it’s not hard to figure out why. Let’s just say, he takes ‘slow starter’ to a whole new level. During his first year in the OHL he registered one point, an assist, in 25 games. Over the next few years, he picked up his game dramatically, to where he served as an assistant captain last season for the Oshawa Generals, while posting 75 points (33 goals, 42 assists) and earning a plus-34 rating. 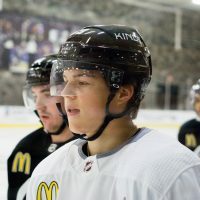 Some scouts project him as a future power forward and he certainly showed a nice level of grit and determination when he attended the Kings Development Camp in July. Confidence played a big part of things as well, something he credits his coaches for helping set the foundation for. Unlike most of the attendees in Rookie Camp though, Andreoff can go to Manchester this season if he signs a pro contract. 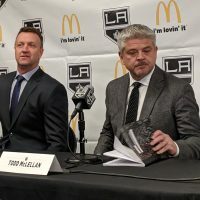 Being an older player, he won’t be bound by the same rules that left the Kings with a tough decision last year on Brayden Schenn – either send him back to juniors or keep him with the NHL team. Andreoff can either play in Oshawa for his over-age year or move on to the AHL. Given the changing dynamics of the Monarchs roster this summer – with several players leaving for Europe – coupled with Andreoff’s mix of gritty play and new found scoring touch, the opportunity may be his to seize. Toffoli and Brandon Kozun will continue to get most of the publicity over the next week, and rightfully so. Yet, where Andreoff ends up this season is an interesting sub-plot. 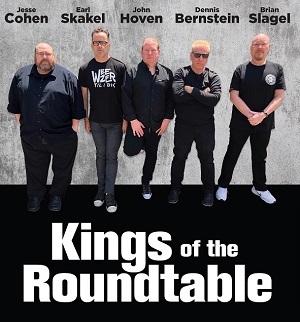 Throughout today and tomorrow we’ll be posting lots of new content, leading up to our extensive coverage of Kings Rookie Camp – which opens this Saturday.